First Lady Michelle Obama is all about it. Corporations are getting hip to it. Suddenly it seems that everyone wants a healthier future for our children. But how does a parent propel her chubby cherub off the couch and into physical activity? You’ve tried cajoling, negotiating, and pleading. Perhaps you’ve even thought of getting rid of the couch altogether. But the neighbors get so cranky when you leave furniture on the curb. Let us suggest you think bigger; presidential even. Try thinking Teddy Roosevelt. National parks, such as Rock Creek, are ideal places to introduce children to outdoor activities that promote physical fitness and provide a lifetime of rewards. Now, marching your child until he collapses into a whimpering (albeit thinner) heap is hardly what’s suggested. 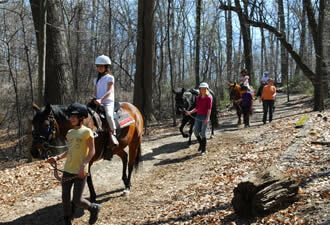 The trail system in Rock Creek Park allows you to tailor outings to your family’s needs. Start out with a simple one-mile loop and build up to an all-day circuit around the park’s rim. Set goals with your kids to build their stamina and keep them invested. 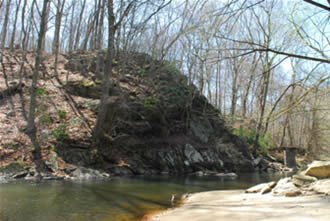 For maps and hiking options, visit the Rock Creek Park Nature Center. Prefer to tag along with a ranger? Attend a free, ranger-led hike or bike trip offered most summer weekends. And, kids can enjoy special activities and become Junior Rangers! If the sound of a nature hike doesn’t bring a gleam of excitement to your recumbent rascal’s eyes, perhaps some other presidential pastime will. Both Roosevelt and Ronald Reagan toured the park’s hinterlands equestrian-style. Today you can bring your kids out for guided horseback rides, or sign them up for lessons at the Rock Creek Horse Center. Woodrow Wilson courted his wife at the Rock Creek Golf Course. While we’re not suggesting you marry off the youngsters just yet, this beautiful, tree-rimmed course welcomes kids. Come on your own (weekdays are recommended) or sign your child up for Junior Golf League. Another Roosevelt hobby was swimming (in the buff!) in Rock Creek. Today swimming in the creek is not allowed, but you and your children can slip, (clothed, please) through the silky waters of the Potomac River by kayak or canoe. Boating along this serene stretch offers views of the gleaming white columns of the Kennedy Center and the chance to paddle to the untamed shores of Theodore Roosevelt Island. Boating equipment and lessons are available at the Thompson Boat Center. 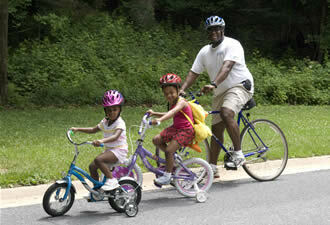 Options for healthy activities in Rock Creek Park are as numerous as, well, your kid’s creative ways to avoid homework. And who knows, maybe while your child is rubbing ghostly elbows with past presidents, she (okay, we’re thinking big here) will be inspired to do something else presidential, like…become one.